The elusive umeboshi can be quite a surprise if you've never eaten one before. The taste is very, very strong and so salty. They are often in onigiri (rice balls). 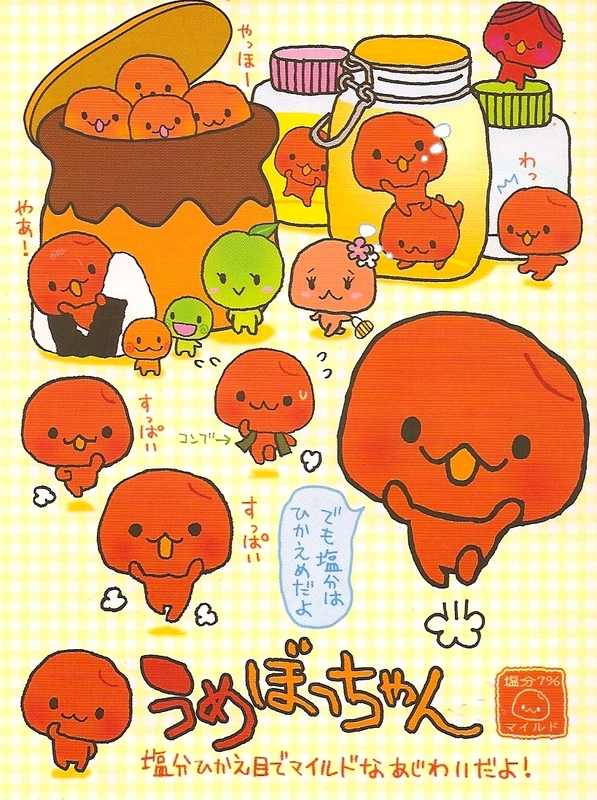 Japanese people love umeboshi and think it's funny that foreigners can't handle them. Anyone familiar with the anime, Fruits Basket, will know about umeboshi from the story that Honda Tohru is special and has a figurative umeboshi in her onigiri (but you can't see it since it's inside). Anyway, this character claims he is not so salty (only 7% salt to be exact) so maybe he doesn't taste too crazy! He also sometimes wears a seaweed scarf, so cute!